Debbie Bridges came to me with an antiquated website and a desire to move her company into a new stage. Together we sat down and talked about her goals and what made her company unique. Using SEO as a guide, I researched what content would be most useful to her target customers. Her new site includes all new content that speaks to what her company can offer. There has been a huge response to the new content resulting in increased business. 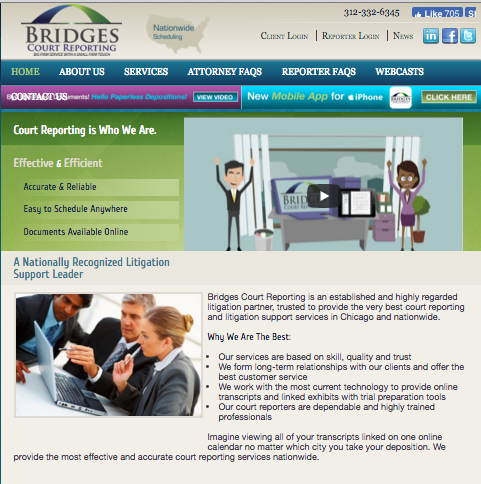 Bridges Court Reporting has entered a new stage, just as Debbie hoped for.